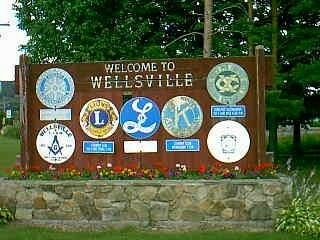 Wellsville was formed from Alfred and Amity on Nov. 21, 1856. It is an interior town, lying south east of the center of the county. Thelma Rogers Genealogical and Historical Society. Last updated on November 4, 2010 © copyright 1999, Vivian Karen Bush This page is part of the Allegany County, New York GenWeb Site and is not affiliated with any other society or organization.